It’s not just Brisbane. It’s not just Redwood City. It’s not just Menlo Park. It’s not a big secret that the Bay Area’s housing affordability crisis isn’t limited to any one community. But figuring out how to get more houses built more cheaply in every one of the 101 cities in a region of seven million people can be a daunting prospect—even for the most hardened housing policy wonk. For many well-meaning, would-be supporters of new housing, it’s not always clear what they can do—or where they can go—to make a difference. Which is what makes the new housing toolkit created by San Mateo County as part of their recently launched Home for All initiative so useful—and such a helpful model for other counties to emulate. Just down the peninsula from San Francisco, the county of San Mateo offers a manageable, tangible slice of the Bay Area: 20 cities between Daly City and Palo Alto, where 19 jobs were created between 2010 and 2015 for every new housing unit built. For residents of these technology boomtowns, the county’s new Home for All toolkit provides the A to Zs on local housing policy, offering definitions of housing terminology (from second units and inclusionary zoning to housing overlay zones), details on which cities have adopted them, and links to additional resources on how effective these policies have been. A detailed action plan includes a four-step strategy for accelerating development countywide, and an interactive map shows progress, city by city, in permitting of all types of housing. A handy calendar feature even includes updates on each city’s next council meeting (where housing, especially lately, is always on the agenda). As remarkable as the website itself is the list of community partners involved in this effort, from cities like Burlingame and Menlo Park to every major local public agency (the community college district, transportation agency, and county office of education). Local civic and business groups participating range from Genentech and LinkedIn to Eden Housing and the Mental Health Association of San Mateo County. What the Home For All initiative makes clear is this: While not every city in San Mateo County is making news this summer for embracing housing, many cities clearly recognize the scope of the problem—and the county government has taken the lead in trying to engage residents in conversations about how to solve it. With affordability challenges moving rapidly up the income scale in San Mateo, it’s not hard to see why. More than 72,000 jobs were created in the county between 2010 and 2015, but only 3,844 housing units were built. Not surprisingly, in the same period, rents skyrocketed (from $2,100 a month to $3,400) and median home prices leaped into the stratosphere (from $839,000 to $1.25 million). In 2014, it took an income of $205,000 to buy a median-priced home in the county—a wage earned by only one in seven residents. 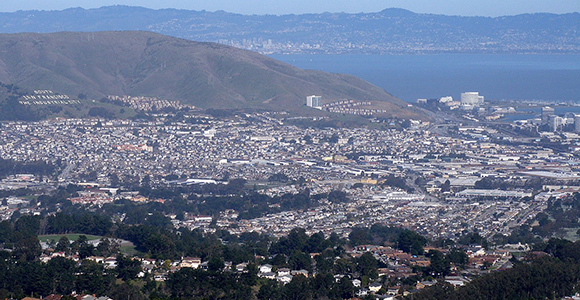 Over 65 percent of the 330,220 people who work in San Mateo now live outside the county. All pretty standard stuff for much of Silicon Valley and the Bay Area. But for several members of the county’s board of supervisors—in particular, Supervisors Don Horsley and Warren Slocum—it is a status quo that is no longer acceptable. What the county could do, the Supervisors realized, was invent a new role for itself. After an initial round of policy work by county staff, the county convened a Jobs/Housing Gap Task Force in San Mateo in September 2015, including 54 different groups and every city in the county. The task force met for a year, and after watching the Sacramento housing debate go nowhere in 2016, reached a startling conclusion. “We all came to an understanding that we were going to have to address this problem on our own,” says Supervisor Slocum. To jumpstart housing development in San Mateo, the task force focused on an action plan aimed at three goals: increasing policies to support housing, increasing funding for affordable housing, and increasing community participation in housing discussions, while being careful to recognize the nature of communities in San Mateo, where 65 percent of housing is single-family. “San Mateo developed as a suburb but there’s potential for many types of housing—from the Grand Boulevard Initiative to densify along El Camino Real to adding accessory dwelling units in single family neighborhoods,” says Supervisor Horsley. With the Home For All action plan finalized and the website launched, the county is working with its partners on a variety of activities, including a new learning network for local officials and city staff, a grant program to expand community participation in housing discussions, a second-unit toolkit on the Home for All website, and communitywide workshops on hot-button issues like ADUs and parking. As efforts continue in Sacramento to organize a statewide response to the housing crisis, San Mateo recognizes that neither the state nor the county can solve every challenge in every city, even in its own narrow swath of the Bay Area. For San Mateo County, it’s a place to start.